Is the one engaging your customers and delivering your message to the right one at the right time. Having a combination of both outbound and inbound email marketing makes the perfect recipe in getting more sales. However, having the right portions is the secret ingredient. Here is the difference between the two types. Outbound marketing is interruptive just like other forms of traditional marketing. 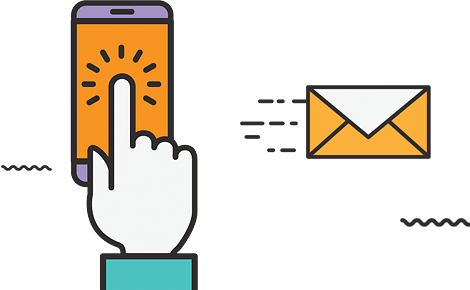 Like billboards interrupting your focus on driving, a telemarketer interrupting your dinner, or a commercial interrupting your show or movie – email marketing can have the same effect if not done correctly. Inbound marketing gives the customer more control. It’s the business’s job to nurture the potential customer with valuable information and to keep the conversation engaging. Once the customer is ready to buy, they will come running to you for your product or services. Interested in driving higher ROI? Learn 3 ways to increase sales right now. We have 3 flexible options. You can do it yourself with our platform of choice, we can help you do it, or we can do it all for you. It's up to you. We'll create strategies that target your audience and builds a more loyal customer list of subscribers that engage with your messages and turns them into customers. Get up to the minute reporting on open rates, unsubscribes, clicks and more. The collected data can be used to create better emails and do A/B testing. We'll create beautiful responsive email designs that will look good on any device and have a higher delivery rate, open rates and as well as click-through rates to drive higher conversations. We'll create campaigns that resonate with your subscribers and turn them into paying clients in no time as well as create automated sales campaign funnels.